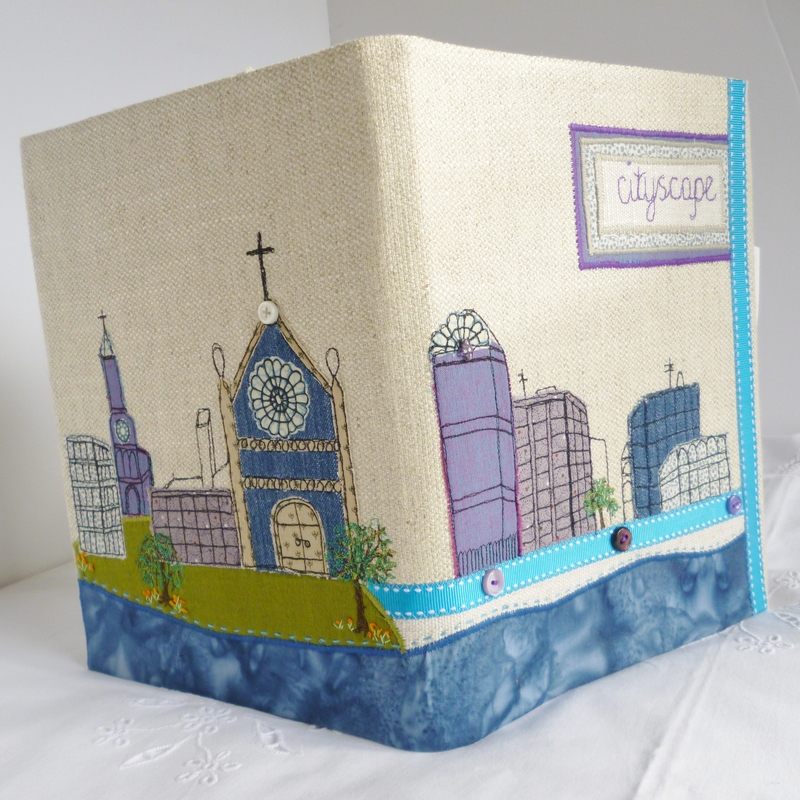 This got me thinking about next year’s sewing workshops and I’ve now put together a schedule which I hope you like and may encourage you to come along and have a go. Beginners are very welcome! 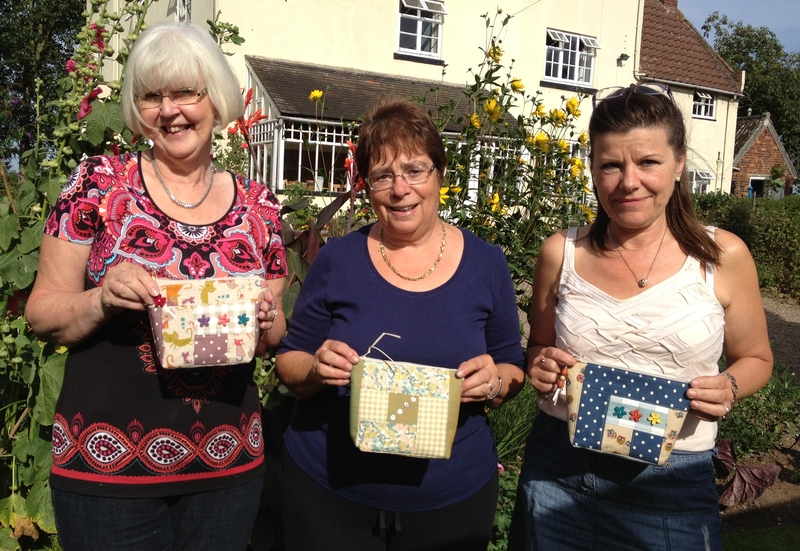 Before I list all the dates and projects for next year I would like to share all the lovely makes from my last sewing workshop which was making patchwork cosmetics purses. You will see from the photographs the very professional finish that has been achieved with covered zip ends, perfectly sewn in zips, lovely shaping from interfacing and wadding, beautifully lined, embellished and ribbon zip pulls. 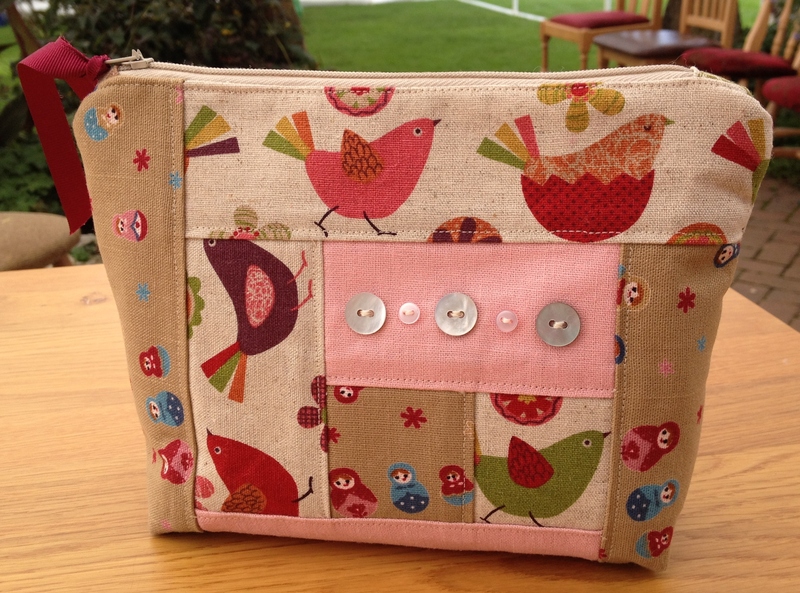 This is Sarah’s cosmetic purse so very neatly pieced from various printed linens and prettily embellished with buttons. 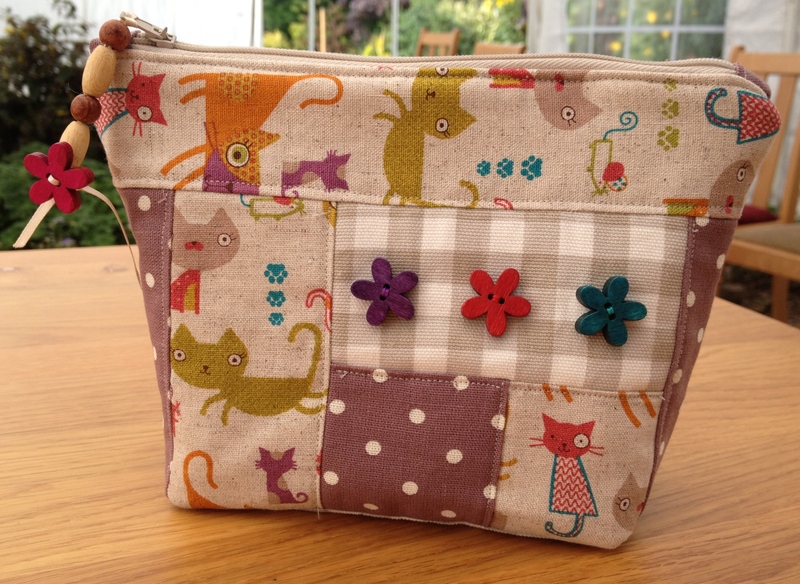 This is Glenys’ cosmetic purse and at the start of the day when I showed her what we were going to make said ‘I don’t think I’m going to manage to make one of those being a newcomer to machine sewing’. 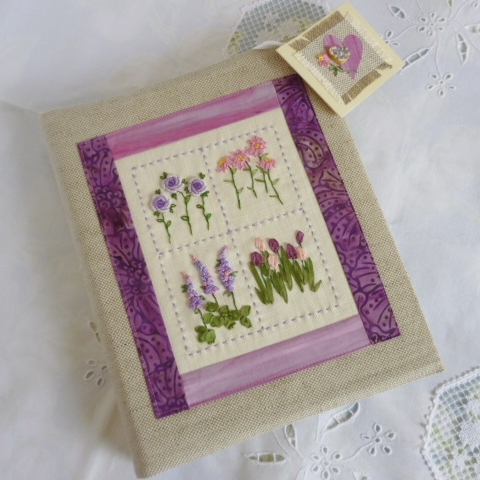 I reassured her that she would indeed have a lovely item to take home at the end of the day and this is the result, simply lovely and a real professional finish with wooden bead embellishment. 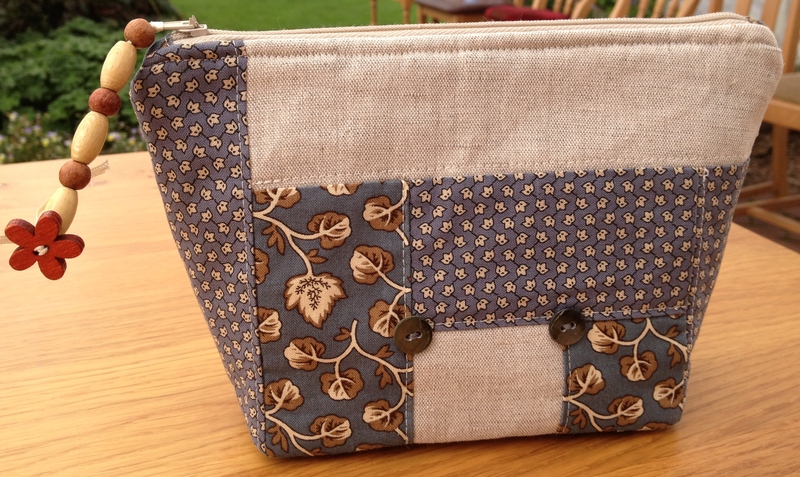 Liz’s cosmetic purse is a mixture of plain linen and very sophisticated cotton prints which had a crisp finish, and a fabulous beaded zip pull! 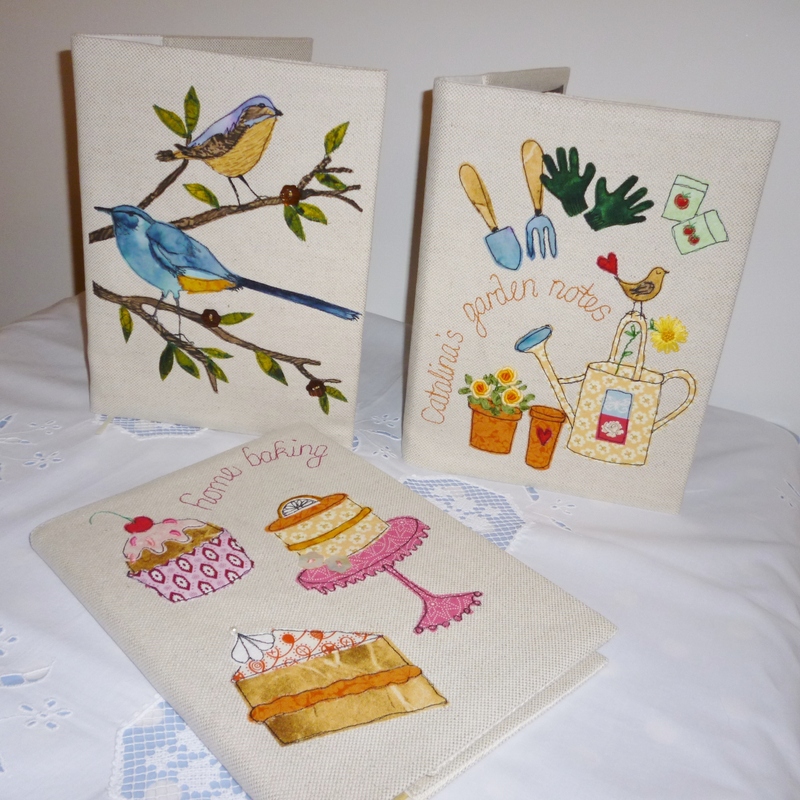 Pam and Maddi selected these printed linens for their purses and ‘fussy cut’ the woodland fabric to feature owls on the front, which are bang on trend. 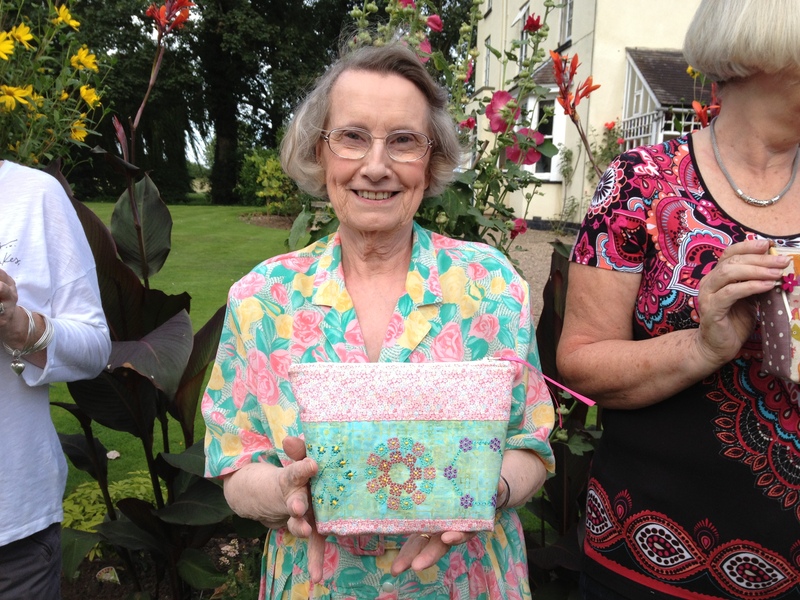 Pauline opted to use her fabulous machine embroidery on her patchwork cosmetic purse giving the project a completely different look. 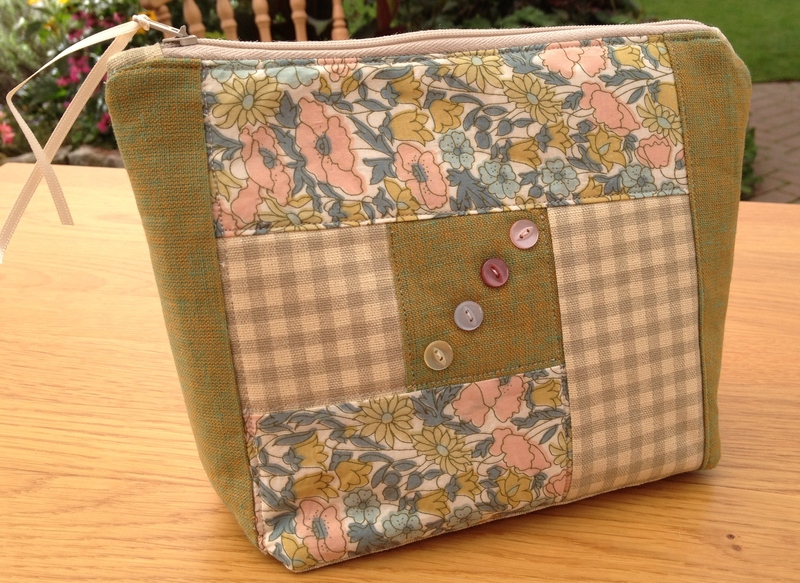 Trish has used some very subtle checks, liberty lawn and shot cotton to create her lovely purse. 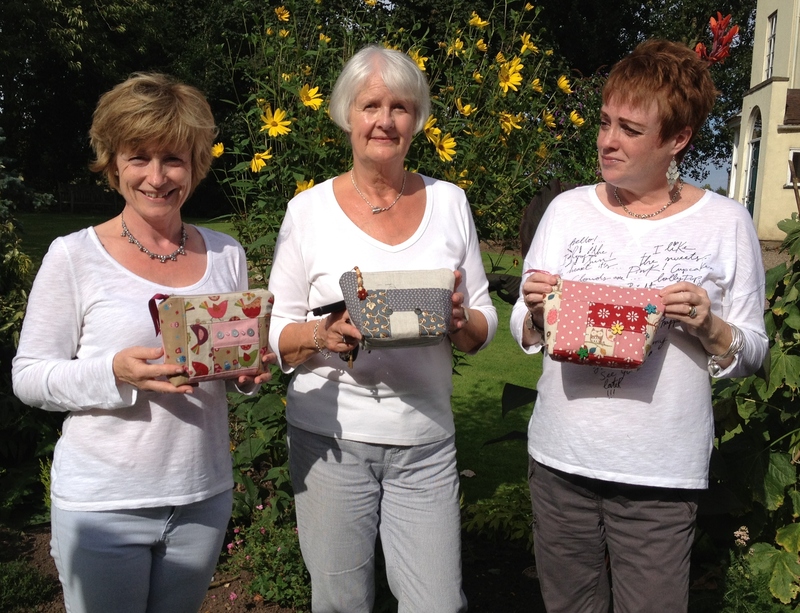 To find out more about our sewing workshops please click here and this will take you to the list of workshops dates for next year. 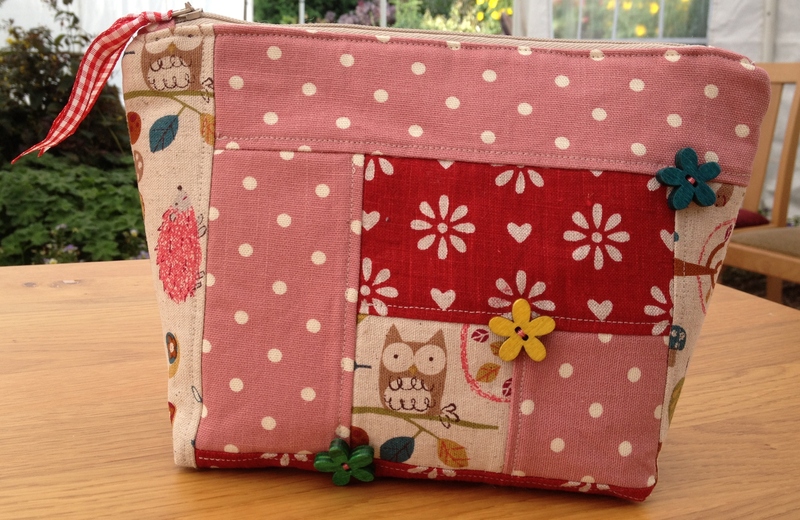 So if you are a sewing fanatic or complete beginner, and would enjoy a day making a lovely item with like minded people, enjoy a quality lunch and good tuition, it would be great to see you there! 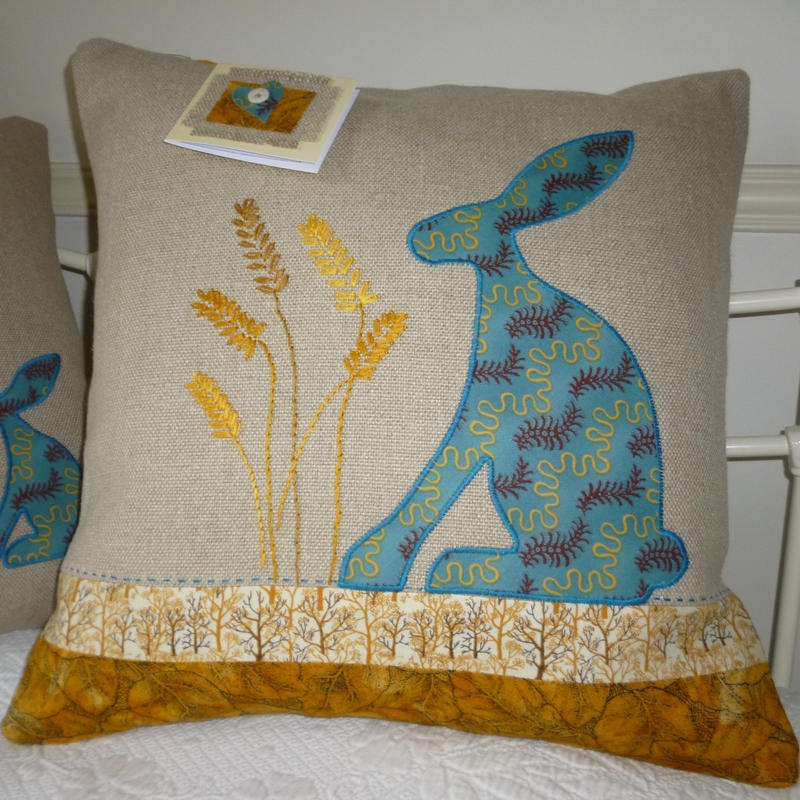 Thank you Jane, for another terrific day of sewing. 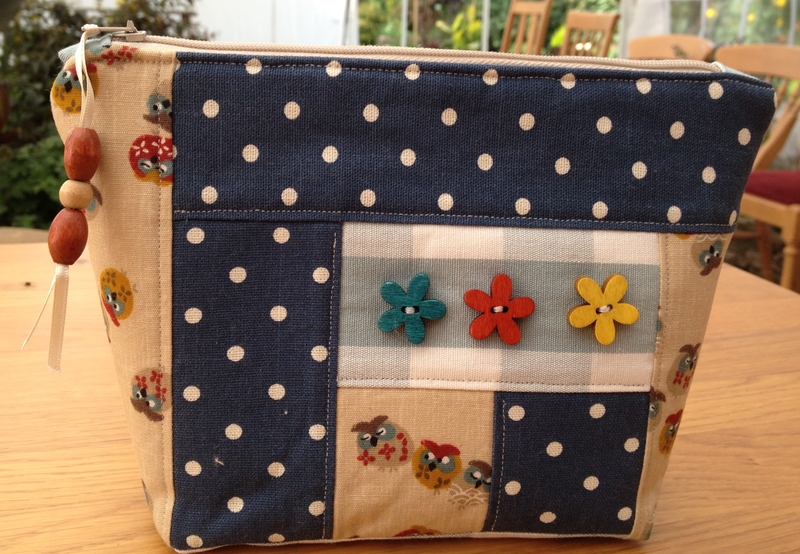 I always learn so much and come away with a finished item I am very proud of and put to good use. Really pleased that you enjoyed the day Sarah! 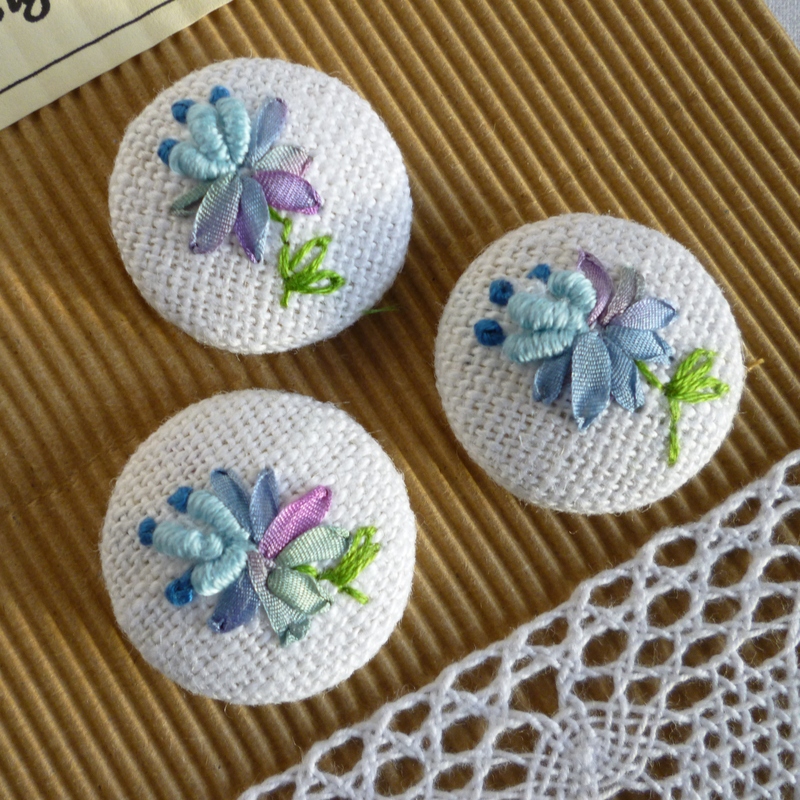 Thank-you for coming and lovely work produced!